In this system the term “buck” refers to the height achieved with the front feet and shoulders as a bull begins each jump of a trip. Bulls that “get in the air” and get their front feet higher off the ground as they peak and break over get the most credit in the buck category. The number of jumps they complete during the course of the trip and how much ground they cover is also a factor. “Kick” in the scale system refers to the extension and snap of the hind legs at the peak of each jump. Determining factors as to the number of points earned in this category are how high and how hard a bull kicks, how much vertical body angle he achieves as he kicks, and whether or not he kicks each and every jump. Additionally, bulls who kick at the peak of each jump instead of waiting until their front feet reach the ground deserve more credit. Also referred to as the speed category, spin is the most difficult to assess if a bull is only ridden for a jump or two. In this situation, a judge must assume that the amount a bull was spinning (or the number of rounds) would have continued at the same rate for eight seconds. For this reason, it is important, in order to achieve high marks in the spin department, to “turn back” or begin to spin as early as possible so that more time is spent spinning than covering ground. Determining factors in the spin category are: how fast (how many rounds if ridden eight seconds), how far around a bull goes with each jump ( bulls who take two jumps to complete a revolution get more credit than those who take four jumps). While bulls that spin without bucking or kicking are docked points in those categories, they still can earn high marks for spin even though they are flat, the fact that they don’t perform well in the buck and kick categories will take care of itself in the total score. A judge must be attentive to whether a bull was in the process of turning back or not as the rider was thrown in order to successfully determine if a bull was beginning to spin. Then he must use that determination to decide how much, or how many rounds would have been accomplished in eight seconds had he been ridden. This category is nothing more than the amount of effort, or level of intensity that a bull is using as he bucks. In other words, how much try is he putting into the trip. As in the degree of difficulty category, if a bull has high marks in the core elements, it would be hard not to assume that he is using a high degree of intensity as he bucks. However, we have all seen bulls that seem to be just “going through the motions” with very little enthusiasm even though they are, for the most part, doing everything right. This category allows for separation between bulls with similar trips when one was putting more of himself into the effort, and deserves to be marked over the other one. 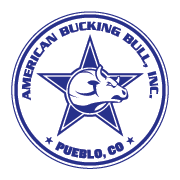 There are a number of factors that can occur in a bulls trip that elevate the degree of difficulty, and it is important to note that the bull that does everything else right automatically has a high degree of difficulty for that simple reason. Therefore just because a bull is honest and doesn’t use tricks to get a rider off, he shouldn’t be penalized in this category for doing things right. Having said that, there are those elements of a trip that some bulls employ that make them harder to ride than bulls that don’t. These things don’t necessarily make a bull better, and again it should be mentioned that the most desirable methods of increasing degree of difficulty are by doing the core elements (buck, kick, spin) well. Further, the bull that is using time and energy performing some of the trickier elements generally associated with “d of d” is usually losing ground in some other area. The most generally defined elements of this category are: drift or fade, accomplished by a bull covering ground as he spins; moving forward in the spin; belly roll; drop, direction change; lack of timing etc.